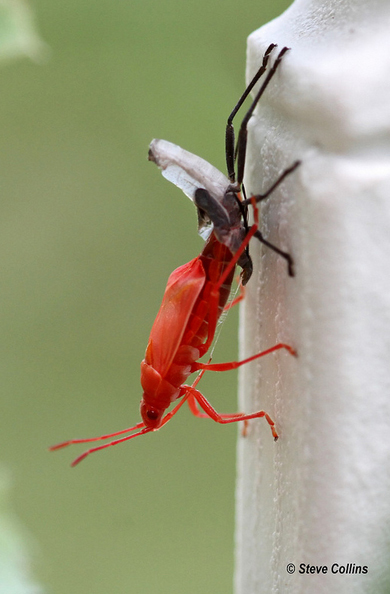 A vibrant red, teneral (freshly molted) boxelder bug displaying an excellent vantage of the beak with protruding stylets. Soapberry bugs, as with all members of the order Hemiptera, feed using sucking mouthparts. Soapberry bugs use their beak liquefy and feed on the nutritious endosperm of the plant embryo.